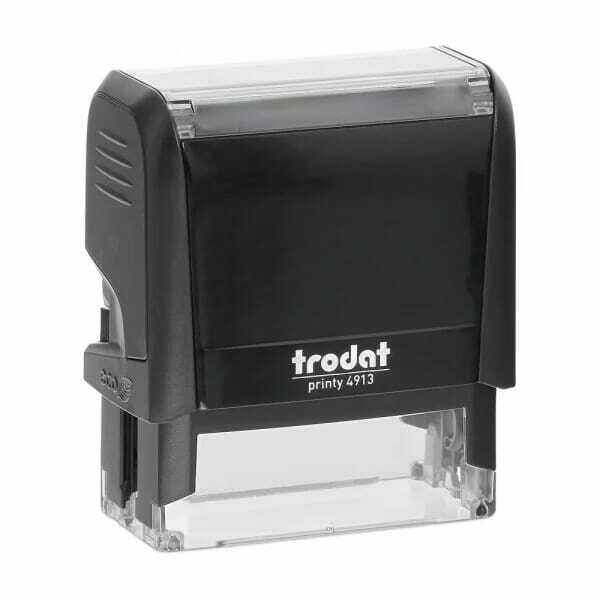 Customer evaluation "Trodat Printy 4913 7/8" x 2-1/4" - up to 5 lines"
Great price and the stamp is exactly what we wanted! Very satisfied! Quality product, easy ordering and timely service. Quality very good. Happy with stamp. Happy with the stamp itself, but put to much info on it so it came with a small font. I was very happy with this product and the order process. gift. Quality and fast shipping. Love this stamp. Ordered as a gifr. It is very sturdy and will last a very long time. This product lives up to what getstamps.com say it is. It is very sturdy and will last a very long time. Thank you getstamps.com and customer service for the service and products you offer.